PACE's primary sensor, the Ocean Color Instrument (OCI), is a highly advanced optical spectrometer that will be used to measure properties of light over portions of the electromagnetic spectrum. It will enable continuous measurement of light at finer wavelength resolution than previous NASA satellite sensors, extending key system ocean color data records for climate studies. The color of the ocean is determined by the interaction of sunlight with substances or particles present in seawater such as chlorophyll, a green pigment found in most phytoplankton species. By monitoring global phytoplankton distribution and abundance with unprecedented detail, the OCI will help us to better understand the complex systems that drive ocean ecology. The OCI is being built at Goddard Space Flight Center (GSFC). 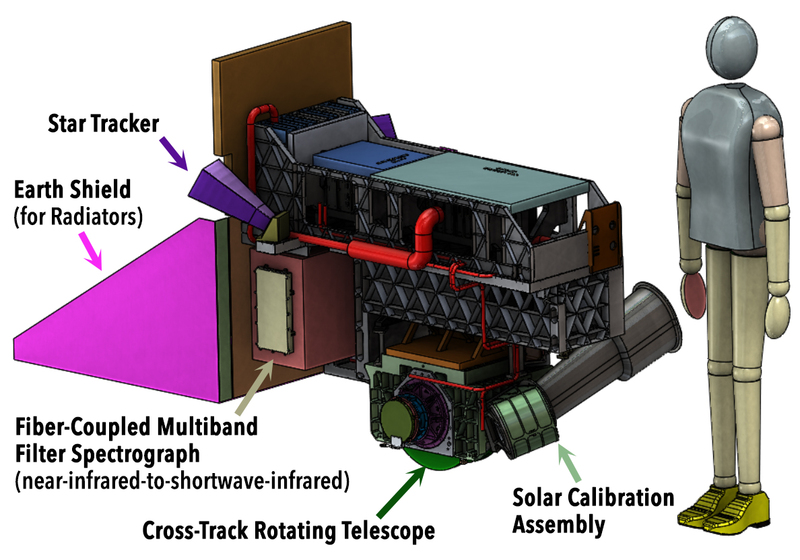 It will consist of a cross-track rotating telescope, thermal radiators, along with half-angle mirror and solar calibration mechanisms. The OCI's tilt will help avoid sun glint and single science detector design will inhibit image striping. Its signal-to-noise ratios will rival or exceed previous ocean color instruments. 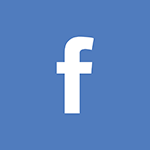 The OCI design is based on a long heritage of NASA technology development and flight programs. Its functionality – rotating telescope (mechanism and timing), charged couple device (CCD) detector, optics – benefits from previous technology development efforts such as Ocean Radiometer for Carbon Assessment (ORCA). 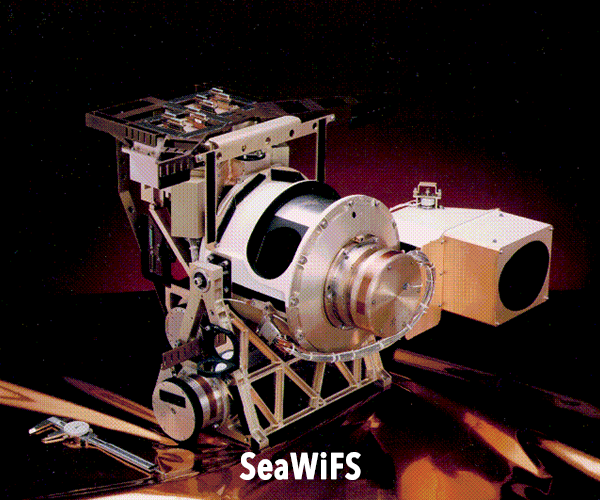 The OCI's operational concept, cross-track rotating telescope / half-angle mirror, system timing, and data processing infrastructure have been successfully used on previous and existing flight missions such as the Coastal Zone Color Scanner or CZCS (1978 to 1986), Sea-Viewing Wide Field-of-View Sensor or SeaWiFS (1997 to 2010), Suomi National Polar-orbiting Partnership (Visible Infrared Imaging Radiometer Suite or VIIRS), Aqua and Terra (Moderate Resolution Imaging Spectroradiometer or MODIS instrument). In addition, the OCI's avionics (communications, positioning) will use a significantly smaller electronics system developed by the iMUSTANG effort. 241 kg (531 lb), current best estimate. 275 W, current best estimate. 0.08° along track and 1.42° cross track. 2-day global coverage at 1-km (0.6-mi) resolution. Hyperspectral radiometry from the ultraviolet (340 nm) to near-infrared (890 nm). Bandwidth at 5m resolution and spectral steps of 5 nm (with the goal of increasing the spectral steps to 2.5 nm). Shortwave (SW) infrared (IR) bands include: 940, 1038, 1250, 1378, 1615, 2130, and 2260 nm. Total calibration of instrument artifacts <0.5% at top-of-atmosphere. Daily and monthly solar calibrations using onboard solar diffusers like those used on MODIS. Bi-monthly lunar calibrations. OCI is a hyperspectral imaging radiometer whose continuous coverage extends from 340 to 890 nm in the ultraviolet (UV) to near infrared spectrum at 5 nm resolution (with bandwidth at 5 nm). The goal is to increase the spectral steps to 2.5 nm (with bandwidth remaining at 5 nm), which will be confirmed at the PACE Critical Design Review in Winter 2019/2020. It also includes 7 discrete bands from 940 nm to 2260 nm in the shortwave infrared (SWIR) spectrum. Like SeaWiFS, OCI will perform a tilt maneuver every orbit at approximately the sub-solar point to avoid Sun glint reflected off the ocean, looking 20° north (fore) in the northern hemisphere and 20° south (aft) in the southern hemisphere. 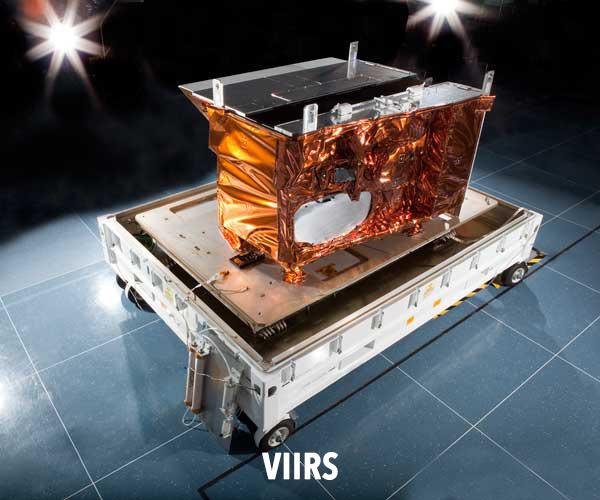 The OCI telescope will scan from east to west at a rotation rate of 5.77 Hz, acquiring Earth view data at a 1 km x 1 km ground sample footprint at nadir and an angular range of ±56.5° for a ground swath width of 2663 km. The OCI fore optics design follows that of SeaWiFS, with a rotating telescope, a half angle mirror, and a depolarizer that is transmissive (rather than reflective as with CZCS and SeaWiFS). Dichroics – material which splits visible light into distinct beams – direct the light to three different focal planes: 1) a blue spectrograph (340-605 nm) with wavelength separation via grating and light detection using a CCD; 2) a red spectrograph (600-890 nm) using the same approach; and 3) SWIR detection assembly with wavelength separation using dichroics / bandpass filters and light detection via semiconductor devices that convert light into an electrical current, known as "photodiodes." The OCI builds on the ORCA prototype (see box below). Its SWIR detection assembly uses a new approach that guides light to individual detection units via fiber optic cables. These specialized photodiodes will employ alloys of indium gallium arsenide (InGaAs) and mercury cadmium telluride (HgCdTe). 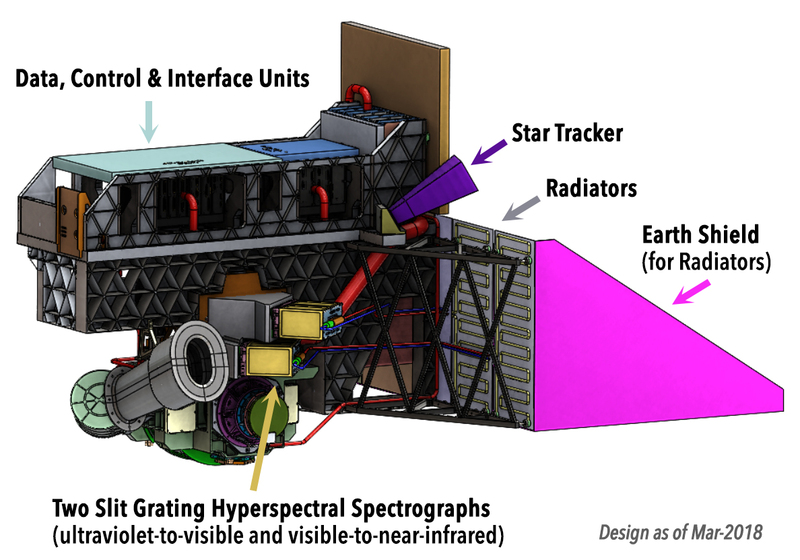 A subset of SWIR bands and the red spectrograph will be evaluated as part of engineering test unit development in preparation for the OCI’s Critical Design Review. 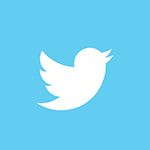 Subsequently, the flight unit that includes all spectral channels will be built at GSFC. ORCA is a prototype of an advanced ocean biology/biogeochemistry satellite sensor. The concept development began in 2000 with the eventual fabrication of a functional bench top instrument completed in 2013. The prototype development was supported by NASA/GSFC with the actual fabrication and testing conducted under two consecutive grants (three years each) funded through the NASA Earth Science Technology Office (ESTO) Instrument Incubator Program (IIP).